Casey Powell has dedicated his entire life to the game of lacrosse. The results he has achieved make him the most highly decorated player of all time. That is an honor he will always cherish, but it does not define Casey Powell, the man from Carthage, N.Y.
Casey looks at the game of lacrosse as a place to learn and to appreciate the most valuable lessons in life. Therein lies the treasure and the glory. Lacrosse is not limited to the elite athlete. The game is about personal growth, relationships, and being a good teammate. Casey started off blessed with parents that played a loving and supporting role to his passion for lacrosse but never pressured him. Lacrosse was for Casey Powell to make what he wanted of it and by the time he was done, he would make his way around the world to forge relationships with teammates, coaches, and fellow players that have become his best friends and most valuable mentors. He was born with the perfect organic chemistry for success and has gone on to accumulate the all experiences of a blessed athletes lifetime. Fulfilling the mission statement of his foundation – the Casey Powell World Lacrosse Foundation – to share, support and inspire the game of lacrosse – is a natural progression for his life. A study of Casey’s accomplishments illustrates the highest level of success at every form of the game throughout the course of his entire life. 4 time. Only First Time All American at two positions– attack and midfield. This amazing journey started in the twenty by forty yard space beside his home in Carthage, New York. Casey began to separate himself from the pack with dedicated backyard practice sessions. He perfected his moves and personal style by constantly challenging his skill level and then accelerating the tempo. He played ‘wall ball’ morning, noon and night. He attended All American Lacrosse Camp at Hamilton College in Clinton, N.Y. to punctuate every summer with an educational, inspiring and intimate experience that brought Casey forever closer to the game. His younger brothers Ryan and Mike were reliable playmates and formidable competition. Legends of the game, including Syracuse stars Paul and Gary Gait, provided the play-by-play, step-by-step, goal-by-goal role models. Casey put intense time and focus into emulating their every move and the rest is history. His youth experience in the late 80’s was far different from the youth experience today. Today’s youth commit to intense travel-team rigor. Casey simply committed to excellence. His mother Sue began sewing extra belt loops on to all of his pants by the time he was 9. That allowed Casey to carry his lacrosse stick in a holster and have it with him all the time. That familiarity with the lacrosse stick as an extension of his body paid off when Casey started to achieve great results. He regularly earned ‘Top Scorer’ mention in the liner notes in the Watertown Daily Times for his bi-weekly performance at the Watertown Fairgrounds summer league. Rather than playing lacrosse on a beautiful horse farm, as the name of the park would suggest, that league was played on a concrete skating rink. For Casey Powell, it was the Boston Garden. Casey recalls having the life changing experience of performance recognition while having fun in the process. The training regimen of summer camp and lacrosse at the fairgrounds afforded him countless nights of performing in summer league and then point at the home town scoreboard. The success agreed with him. It made him an exceedingly happy young man and constantly drove his passion to new heights. This combination would repeat itself over and over throughout his life and his lacrosse career. The story about what athletes inspired the young Casey Powell came, oddly, out of Boston. Casey’s Aunt Louise Eldridge was the manager of the Logan Hilton at Boston’s Logan Airport so the Powell family sports team gear was heavily weighted toward Red Sox, Bruins, and Celtics apparel. “Oil Can” Boyd, Wade Boggs, Carl Yastremski and Larry Bird held high stature on the Powell sports altar but none higher than the Birdman in #33. Casey was obsessed with his court sense, his tenacious defense, and the effortless stroke off Indiana native wearing Celtics green and white. Years of watching Bird run the Boston offense helped Casey become as dangerous a passing threat as he was a scoring threat. Casey modeled his game after one of the most prolific shooters and passers in NBA history and intended on bringing those skills to the lacrosse field. Casey never adopted Bird’s aggressive style of trash talking. He would respond under extreme conditions if instigated but Casey Powell’s reputation has forever been “all business” on the lacrosse field. The style of support Casey got from his parents is one of the greatest gifts of his life. They didn’t push lacrosse on their son. Casey pulled Larry and Sue Powell into a world where he excelled and smiled. Their contribution was simple – approval, support, pride. Dinner table conversation was not a performance evaluation. That was not important to the Powell family. There was no critique of coaching or other teammates. The Powell family chose not to judge volunteers or Casey’s friends from the neighborhood. In this day and age it is amazing that there was not a single nudge of pressure to earn a scholarship for, quite possibly, the greatest lacrosse player of all time. He’d finally gotten his father to raise an eyebrow and proudly nod to respect his son’s achievement. To mark the occasion Larry Powell pulled over at a Friendly’s for a family ice cream stop. At that stop Casey knew he’d earned his parents approval and enjoyed the most delicious root beer float of his life. It was loaded with whipped cream and sprinkles and he can still relive the taste. He had no idea that his own inspiration and attitude toward this great game would lead him to a lifetime of root beer floats. By the time he graduated from Carthage High School he had earned All America honors twice, North All Star honors twice, been to the Empire State Games twice, was a four time Frontier League All Star and fittingly owned a record that officially registered Casey Powell as King of the Lacrosse Hill. Fellow upstate lacrosse force Casey Donegan, of Corning East, held the record for most points with 441 for four years until Casey Powell came along. With 553 by graduation day in 1994, the kid with the sewn on lacrosse stick holster was now the leading scorer in High School lacrosse history. Casey Powell obviously became the marquee high school lacrosse recruit in America. He would be able to choose from any program he wanted. Being from upstate New York he’d witnessed Roy Simmons Jr. and the Gait brothers rack up three national championships at Syracuse University. If a coach was going to sway Casey Powell much farther away from his own backyard they were going to have to pull off a magic trick. At the time Loyola Lacrosse was one of the hottest programs in the NCAA. The legendary Dave Cottle began the program in 1983. Loyola had just hired world class defenseman Dave Pietramala from Johns Hopkins as assistant coach and by 1994 the Greyhounds were a regular contender in the playoff picture. Casey graduated from Carthage High School in May of 1994 and only a few weeks earlier Loyola had beaten cross town juggernaut Johns Hopkins 17-15 for the first time in the history of the program. The Greyhounds finished with an 11-2 record, losing to Brown in the quarter finals. Coach Cottle needed one extra edge to win it all and Casey from Carthage, New York was going to be that edge. Cottle would need to figure out another edge to get the young superstar to Baltimore. Becoming a Greyhound was a serious consideration and Casey took it as such. He purchased his first suit for his recruiting trip and was the only recruit on their 6 a.m. flight to Baltimore exceptionally well dressed for the occasion. Lacrosse has always been Casey’s thing. This opportunity deserved respect. Casey got to watch Loyola practice and then was escorted into the locker room by Coach Cottle. Hanging in a locker was a home white #1 Loyola jersey with the name “POWELL” in green on the back. Casey wore #1 for the Carthage Comets and it was clear Coach Cottle was trying to make the transition as smooth as possible for his potential new difference maker. For the leading scorer in High School history it could have been a natural progression to the lacrosse mecca of Baltimore to build a college lacrosse career for the ages. It was an exciting moment in Casey’s life and an offer he seriously considered against the field of schools recruiting him. Unfortunately for Coach Cottle, the Loyola Greyhounds and every other coach that coveted Casey – there was an “Exceptional Seniors” football game in the Syracuse Carrier Dome at the end of the 1993 fall season. It was a fun and loose type of sporting event and it was by no means Casey Powell’s best performance on the grid iron. In fact, the Carthage QB threw 4 interceptions and spent most of the game dodging defenders in his classic speedy and evasive style. Casey felt at home in the Carrier Dome. The lighting, the temperature, the turf – it all felt right. In order to be true to his heart he announced he would attend Syracuse University in the fall of 1994. A season that would mark yet another incredible milestone in Casey’s career. Casey Powell was about to fulfill an early dream of playing for Roy Simmons Jr., the legendary Syracuse University lacrosse Coach. The quality of the program, the proximity and the history were too much for Casey to pass up on. Few lacrosse historians are aware that Roy Simmons Jr. played lacrosse at Syracuse with another legend – Jim Brown, the Hall of Fame running back for the Cleveland Browns. Roy Simmons Jr. and Jim Brown were teammates for the Orangemen in the 1950’s under Coach Roy Simmons Senior, who started the program in the early 1920’s. He stewarded the program to national notoriety and handed it over to his son in 1971. There is an extremely deep history and massive following for the Syracuse Lacrosse program and Casey became a part of it before he was old enough to drive. Combine that history with a loss to Virginia in OT to end the 1994 season for Syracuse lacrosse and Casey Powell had all the motivation he needed for an Orange comeback his freshman year. The team was stacked with offensive firepower like Rob Kavovit and Roy Colsey. They had an iron clad defense in Hans Schmid, Chad Smith, and Ric Beardsley. The stars were well aligned. The deal was done. The jersey was his. The mission to win a national championship in the sport he lived and breathed was at hand. And still, nothing could make Casey Powell happier. *10th in NCAA in Division I in career points. Casey spent his freshman year at Syracuse proving that transition was no obstacle for the eager 19 year old with the belt loop lacrosse stick holster and the national High School scoring title. He began adapting to the college game in his first Fall Ball session of ‘94 during tireless hours of 1 on 1 drills against, quite possibly, the best defensemen in NCAA lacrosse. As the young freshman squared off for his next opponent he found himself battling one All- American defender after the next one. First Chad Smith, then Hans Shmid, then Ric Beardsley. Over and over again. That’s where special forces training began turning Casey Powell into the gritty, crafty player he is today. As a team, the Syracuse Orange were about to set the NCAA on fire in 1995. Casey picked up in the Syracuse #22 where he left off in his own #1 Carthage Comets jersey. His skill set perfectly fit the platform of legendary Coach Roy Simmons Jr.
Coach Simmons lived by a quote he never hesitated to share with his team. He always taught his players: “what their hearts would believe and their thoughts could conceive they would achieve.” Believing in that concept kept Syracuse in many a game and on many a winning streak in 1995. Casey Powell and Syracuse University were coming together at the Carrier Dome like a match made in heaven. Casey scored at least one goal and had at least 2 points in ever game of his freshman regular season. His 67 points (39 goals, 28 assists, 51 ground balls) earned him 2nd Team All America honors at midfield while the Orange went coast to coast on the season. With a regular season record of 13-2 Syracuse made the playoffs easily. They ranked in the top 4 of the national poll and afforded themselves a first round bye. The drew Princeton in the opening round who advanced after beating University of Massachusetts 11-6. Despite a great effort by Princeton, led by 4 goals by Chris Massey, the Orange won 15-11. Casey Powell matched Massey’s 4 goal effort and Ric Beardsely, Roy Colsey, and Mike Witek each scored a pair of goals. Syracuse faced Virginia in the semifinals. They had beaten Brown 16-13 and their special sauce was an extremely potent offense. With an offensive onslaught of their own, the Orange won that game 20-13. The barrage was led by Nick Licamelli’s 4 goals and a hat trick by three other familiar Syracuse sharp shooters – Mark Fieta, Rob Kavovit and Casey Powell. The 1995 final pitted the Orange versus the Maryland Terps who were led by their elite goalie Brian Dougherty. Maryland had an early lead on Syracuse, 4-2 with a minute left in the half. That’s when the tide turned Orange and Syracuse pumped in 3 goals to take the halftime lead 5-4. Dougherty wound up being named MVP of the tournament for his performance but the Terp offense couldn’t muster enough firepower to regain the lead. Casey faced one of his most formidable foes in that game – defenseman Dan Radebaugh. Doug held Casey to one goal in that outing and earned Casey’s respect as one of the toughest defenders Powell ever played against. In a private conversation you might get Casey Powell to admit as a freshman he was slightly afraid of Dan Radebaugh – the 6’2” 215lb, 1995 Defenseman of the Year. The Orange came out on top 13-9 in the 25th Anniversary Championship game. Attendance of 26,229 at Byrd Stadium at University of Maryland was a new record that would last throughout the 90’s. Casey made a permanent home on the NCAA All Tournament Team earning his first of four playoff appearances as a grand finale to his awe-inspiring Championship freshman season. Casey Powell began proving his amazing versatility at this game by the time he was 20. Players rarely change positions beyond high school in lacrosse but it turned out to be an effortless switch for Casey. His early training in box lacrosse blurred the lines between the midfield and attack positions. 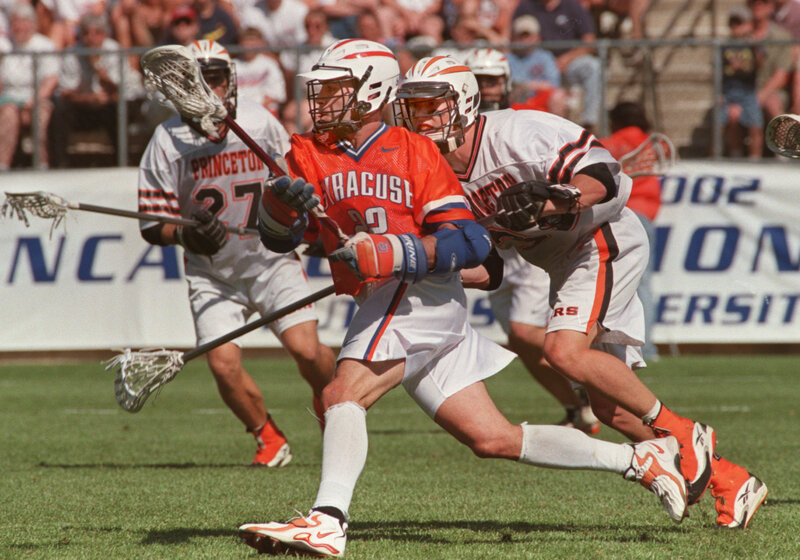 In ’96 with an unusually large group of talented attackmen at Syracuse, Roy Simmons Jr. asked Casey to switch to midfield. He took the position change in stride and continued to focus on nothing but the quality of his lacrosse performance and his teams success. Syracuse made the NCAA playoffs again his sophomore year. Casey scored twice in their 12-3 First Round win over Army. North Carolina was waiting at Fetzer Field but an overwhelming 6 goal performance by Rob Kavovit helped the Orange build on their 9-8 halftime lead to win 19-12. Paul Carcaterra scored 3 goals in the game while Casey Powell, Matt Cutia and Doug Jackson scored 2 each. Syracuse lost to the eventual 1996 Champion in the ’96 semifinals. This time Chris Massey scored 6 for the Tigers in their 11-9 victory. Casey scored 4 for the Orange and Rob Kavovit scored 3 in their last matchup of the year. When Casey stepped up to his junior year at Syracuse his younger brother Ryan walked in as a freshman and added instant impact on offense. Once again the Orange had a pair of brothers like they had 7 years prior with Gary and Paul Gait, led by the eldest in #22. Brother Ryan would wear #1 until #22 came available and there was yet another brother waiting in the wings. 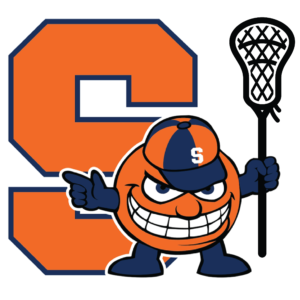 In 2000 Mike Powell would set foot on in the Carrier Dome and carry the family tradition and Syracuse lacrosse to new heights in the Orange #22 jersey. Casey and Ryan made eye contact on the field to silently congratulate each other and accept the challenge ahead of them. Their Mom Sue shed a tear as she watched with their father, an extremely proud Larry Powell. With his backyard training partner Ryan in the same jersey, Casey scored a career high season total of 83 points (43 goals, 40 assists) and picked up a career high 82 ground balls. He took so many shots that year (132) his arms nearly fell off. Casey’s offensive onslaught helped the Orange finish with an 11-2 record and stamped the ticket for his third trip to the playoffs. Syracuse sat out the first round and drew Loyola in the Quarter Finals. They were able fend off a late onslaught by the Greyhounds to win 13-12. Neither Powell scored a goal in that game but that didn’t make Casey any easier to stop. He unselfishly notched 8 assists in the Syracuse win. Unfortunately Maryland would get their revenge for the 1995 title game loss in one of the most exciting college lacrosse games of the era. Rob Kavovit and Casey Powell scored 4 goals apiece for the Orange. Dough Jackson and Ryan Powell each had 3 but it wasn’t enough to take down the Terps. Twelve players found the back of the net for Maryland and they won the shootout 18-17 to send Syracuse home one game shy of a title shot. Casey’s individual honors were weighing heavily in the record books. He was named 1st team All American at Midfield for the 2nd time, he made the All Tournament Team for the 3rd time and complimented those the highest award in NCAA lacrosse – the Lt. Raymond Enners Award for the most outstanding college lacrosse player of the season. With one season left to his college career lacrosse had really become Casey’s thing. Casey Powell walked into his Senior year at Syracuse with 3 All American honors, 3 All Tournament Team appearances, a Midfield of the Year award (after changing positions from Attack), and the Division I Most Outstanding Player award under his belt. Conventional wisdom might have led one to believe there wasn’t much left to accomplish. Casey Powell would have disagreed with conventional wisdom. With “Powell Brothers” becoming a lacrosse household name, Roy Simmons Jr. and the Orange went on a mission to dethrone the repeat champion Princeton Tigers. They blazed a scoring path through the regular season that would see Casey and Ryan combine for nearly 150 points. Once again, it would come down to a dramatic Final Four in Rutgers, New Jersey. Syracuse earned a first round bye and faced Virginia in the quarter finals. They survived the Virginia onslaught of David Wren, Drew Melchionni, Tucker Radebaugh and a 9-5 halftime deficit to come back and defeat the Cavaliers 17-14. The Syracuse defense came up big and blanked that Cavaliers in the final quarter. Ryan and Casey led the offense with 5 and 3 goals respectively and helped earn their team Casey’s fourth trip to the Final Four. The semifinal was another Syracuse vs. Princeton matchup for the ages. Roy Simmons Jr. faced Bill Tierney who had just won two National Championships. His plan to attain a third was centered around stopping the Powell’s with his rock solid defense. This time Syracuse got out to a 6-4 halftime lead and Jesse Hubbard, Josh Simms and the Princeton Tigers came back with a dramatic 11-10 win. Bill Tierney’s strategy was somewhat successful as Ryan Powell was held to one goal and Casey was held scoreless covered by All American Defenseman Christian Cook. Casey’s storybook college career came to an end on May 25th 1998 at Rutgers Stadium, but his Senior year will cement him in the history books for eternity. He ended his final campaign with 78 points, his fourth All Tournament Team appearance alongside his brother Ryan, the Jack Turnbull Award for the Division I Attackman of the Year, and his 2nd Lt. Raymond Enners Award for the most outstanding lacrosse player in Division I. If it were ever unclear, it became clear by the summer of 1998. Lacrosse was Casey’s thing and he was far from done proving it. “He has a unique style and is full of fantasy. He’s a high-risk player. It’s obvious that he was a student of the Gaits. He’s a complete player and does what has to be done.” Roy Simmons Jr. 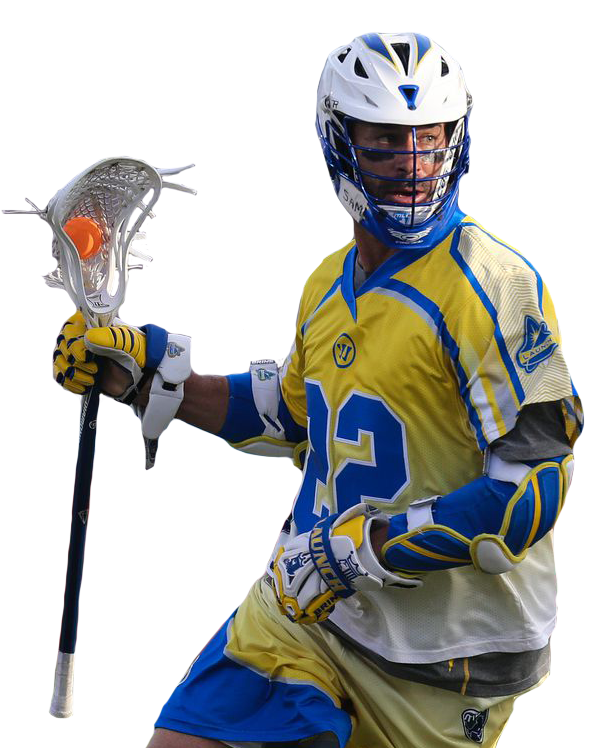 It was time for Casey to move on to a life of professional indoor and outdoor lacrosse.